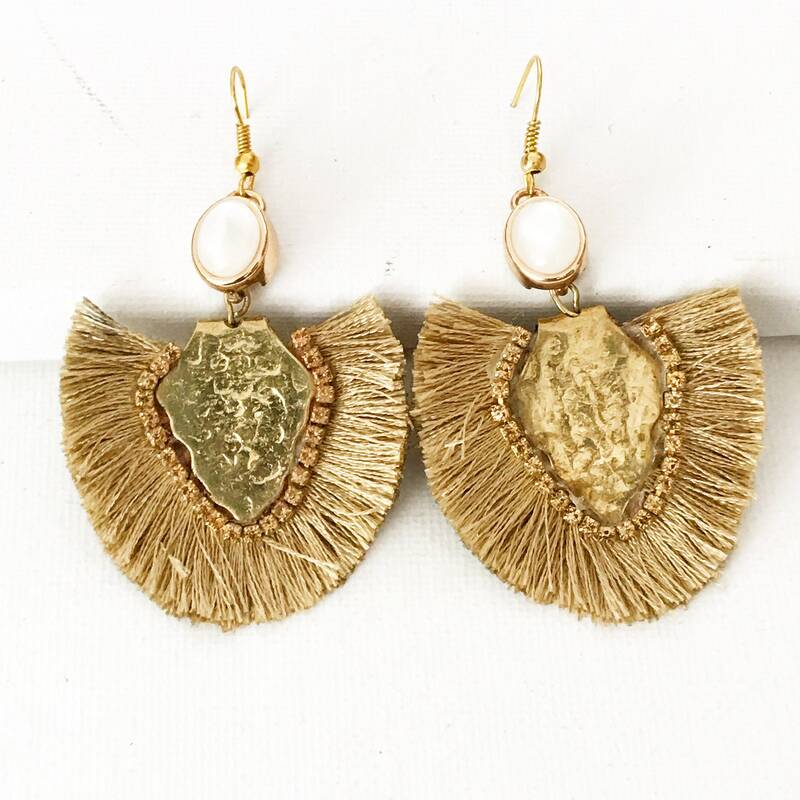 Earring gold metal hammered gold fringed and Agate bead. Costume jewelry. For a chic and boho, Boho look. Length 8 cm fringes included. Sometimes small imperfections hardly visible (due to the hand crafted item) are present on some jewelry.